for $470,000 with 3 bedrooms and 3 full baths. 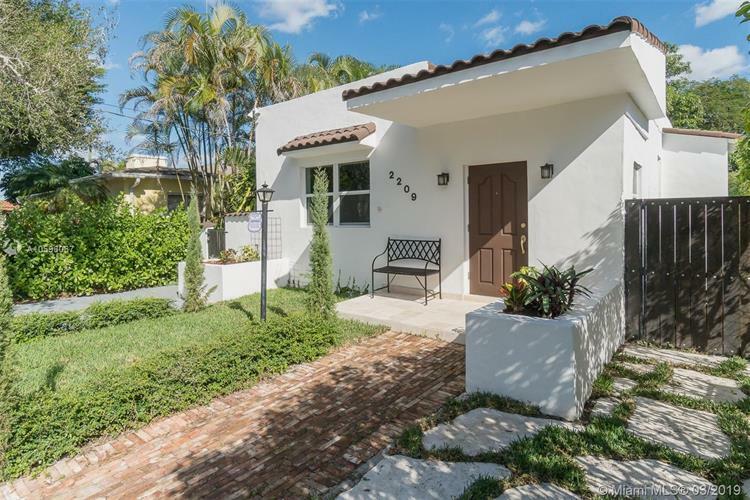 This 1,720 square foot home was built in 1926 on a lot size of 6040 Sqft..
Beautiful single family vintage home nestled in the heart of historic Coral Gables, West Miami, and Schenley Park. Walking distance to Granada Golf Course! 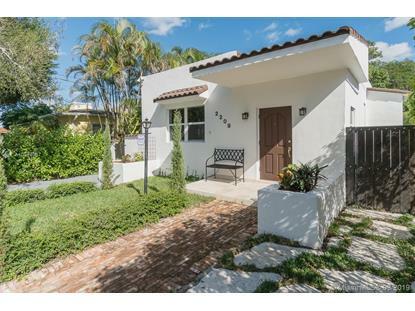 is 1926 Spanish style Bungalow-highly desired 3/3 layout comprised of 1720 sqft of space sitting on a 6041 lot. This home has undergone a completed renovation to include but not limited to impact windows, spacious backyard with massive mango tree promoting an alfresco theme-Built-in Gas Viking Grill kitchen, , RV gate, original hardwood floors restored & refinished, royal crown molding throughout, built out closets, massive Master Bedroom with ensuite bathroom and walk-in closet, Chicago brick entrance and fire place, outdoor wood pergola, massive coral pavers, LED recessed lighting, open kitchen with island and high-end SS appliances, washer and dryer room with granite and pinewood cabinets, AC is 2 years old, and Roof was replaced August in 2016! No flood zone insurance needed, lowest crime relative to the rest of Miami-Dade County, easy access to Palmetto 826, Dolphin Expressway 836, and Miami International Airport!Priced to sell A.S.A.P! Will not last; contact the listing agent today for a personalized showing!